super cute! i love the sugar skull and gingham combo and the colors are awesome together. definitely makes me want to pull out of my fall color rut and get back to brights!! Happy Halloween! 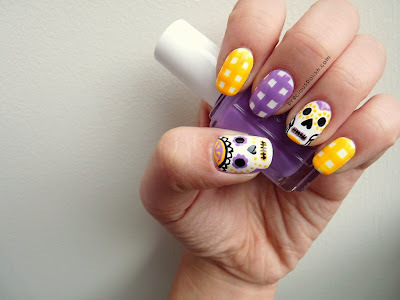 I love the colors you used and I LOVE your sugar skulls! Thank you! Yeah, it ended up being a lot brighter than expected!